The process of converting a hardcopy document to an electronic image, one that can be interpreted by a computer, is referred to as “digitizing” or “scanning”. Carmel has been providing Document Scanning Services in San Diego, and all of Southern California, for over twenty years. Documentation is digitally converted to electronic files which can then be viewed directly on a computer screen. Carmel’s non-proprietary scanning service ensures a user full access to the scanned files without the capital expense of additional hardware or specialized viewing/retrieval software. These digital, electronic files are guaranteed to be accessed using public domain and freely available imaging software.
. . . password protecting access to restricted files or openly allowing unlimited viewing of information that is identically displayed each time the file is accessed. resolution setting. Scanning resolution is rated as “Dots-per-Inch”, or DPI. The most common DPI resolution settings for document files are either 200 dpi or 300 dpi. Increasing the resolution results in clearer, sharper images. But, increasing resolution also increases the output file size. scanning is readily available. Documents incorporating background shading, but are primarily black and white originals, are perfect candidates for Gray scale scanning. Documents incorporating color graphs, photographs or information whose interpretation is dependent upon color representation are candidates for Color scanning. As increasing resolution results in larger output file sizes, migrating document types from Black and White to Gray scale to Color scale also effects file size. An 8.5″ x 11″ document scanned at 300 dpi Black & White may have an average output file size of 35Kb. That same output image file scanned at 300 dpi Color may have an average output file size of 2Mb. It is important when evaluating the selection of resolution and document types to use a printed page as the determining guide. Relying on a standard computer monitor generally does not provide a true indication of the quality to be expected from a scanned image. Printing a scanned image and comparing that sample to the original will provide a much more realistic representation of the digital image. The most common TIF format uses the Group IV-TIF compression scheme. 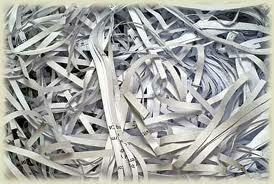 This format is identical to the compression used by facsimile (FAX) machines. Today, virtually every operating system running on any computer system will recognize this format. In all likelihood, your operating system already has a viewer capable of accessing a TIF formatted image file. The TIF format is very efficient for applications which require a lower resolution and are primarily Black and White. Many document/imaging management systems require this TIF format, so it is important to clarify import criteria. 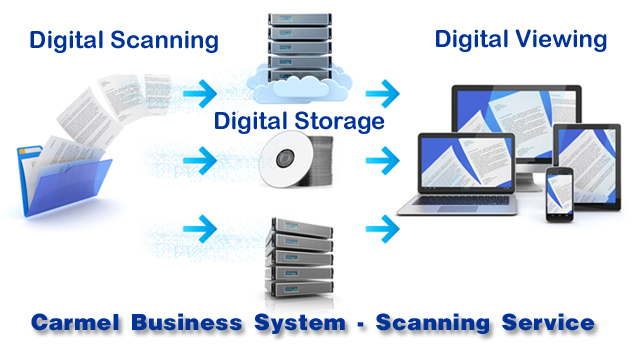 It is a very stable and efficient environment to scan and store digital image files. Adobe Acrobat’s PDF format is very powerful and, if you do not already have a “Reader”, you can get one at no cost. Very dynamic, with many options to aid in the retrieval of a particular file and a specific section within an image file. The PDF format is most efficient for applications with Gray and/or Color scale imagery. This format was designed for the internet, so should your application be posted on the Web or part of a sizable network pulling image files across network cable, the PDF environment is best. The folks at Adobe have developed the PDF/A, or archive, image file format. This rather ingenious development incorporates the viewing engine within the image file itself. So, should image viewing software suddenly no longer be available, access to your PDF/A images will still be possible. This is critical to the many who purchased management software that is no longer supported, or are forced to purchase newer versions of existing packages. 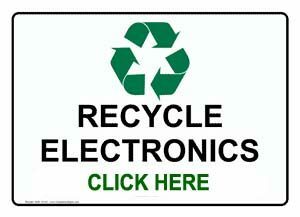 While scanning or digitizing your documentation is important, finding an electronic file is critical. When exploring how to index your scanned documentation, the easiest and best strategy to begin with is to imagine an electronic file cabinet, which is identical in organization to how you are storing your hard copy documentation now. If existing files are in alphabetical order, the names assigned to the scanned digital files are named in the same manner. However your hard copy files are named, your newly scanned image files can be named in the same manner. In the PDF world, indexing options are very powerful. 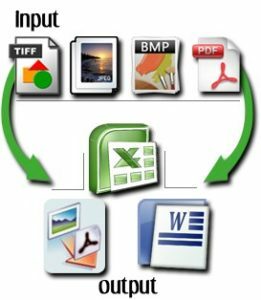 Embedded in a PDF image file are a number of tools that enable a user to quickly access a desired file, without necessarily knowing exactly the name of the desired file. The “Document Information” section, for instance, provides for multiple fields of data input, meta-data, which become part of that file and can be used when searching for desired image files. 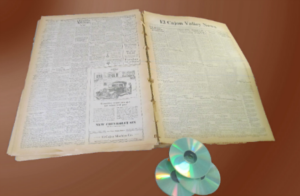 Want a Table of Contents to correspond with your hard copy binder tabs? The Bookmarking feature provides a solution. Add security parameters and image display defaults. The beauty of this electronic digital world is you are not restricted to a fixed environment in which to store and access your files. Once hard copy documents are scanned and indexed, even in a most rudimentary form, more sophisticated schemes can be employed to expand capability. After the fact. Realize how you access files now in their hard copy form and imagine how you would like to access them in a perfect world. In all likelihood, that perfect environment can be practically realized. 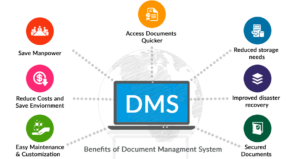 Document management systems are extraordinarily powerful programs developed to coordinate the access of all types of electronic files, not just scanned image files. 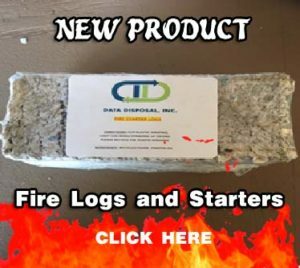 Word document files, spreadsheets, maps, accounting records, scanned image files and all varieties of electronic files can be tied together without having to be physically located in the same area of a hard drive. This multiplicity in managing electronic files is important to realize when deciding as to whether to purchase a management system or not. They are expensive. If you have an environment in which multiple users create files for a single project, these management systems are crucial in their efficiency and practicality. If you have an application that does not incorporate or require file input from multiple users, these programs are rarely cost justified. Simply organizing electronic files in a logical scheme based on filename protocol and using public domain viewing software will save a lot of money. 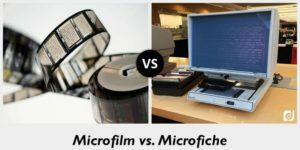 It is critical regardless of direction, either the purchase of a document management system or not, to keep your scanned image files in a non-proprietary format. 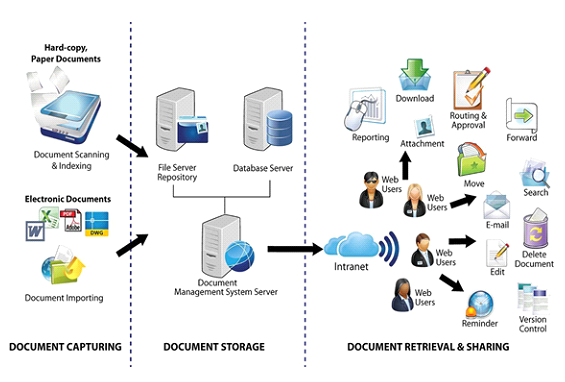 Many document management systems change the output file structure so as to prevent access without the use of that software. Regardless of the size of your electronic library, this output file modification away from a non-proprietary scheme is a kiss-of-death. Doing so restricts all data to the specific use of that system. Migrations to a non-proprietary format is very expensive, and in some cases, impossible. Stay with a system that guarantees your image files remain in either a conventional TIF or PDF format. Hours: Monday - Friday from 7am – 5pm PST.